Well, Seagate just came to the SSD Bandwagon with Pulsar 2 and the XT 2. As far as official announcement goes,Pulsar 2 is MLC based SSD, going upto 800GB of storage space. Seagate emphasized for enterprise storage and SATA 6Gb/s support. As far as the Pulsar XT 2 goes, its a 2.5inch SLC based SSD drive. with a promise of sustianable random reads at 48k and writes at 22k IOPS and sequential goes upto 360MB/s read and 300 MB/s Write. Savvio 15K.3 and Savvio 10K.5 maintain 2.5-inch form factor, 10K-rpm with 900GB, 600GB, 450GB, 300GB capacity and an option of either 6 Gb/s SAS or 4Gb Fibre Channel interface. Savvio 15K.3 is the highest performing HDD available and is optimized for tier 1 storage applications. With capacities available at 300GB and 146GB, Savvio 15K.3 is well-suited for performance-oriented systems that can remain cost-effective to IT budgets and fit a wide range of applications. Constellation ES.2 also introduces a new RAID Rebuild™ feature for enterprise HDDs. With large capacity drives comes longer RAID rebuild times, but with Seagate’s new RAID Rebuild™ development platform, customers can significantly reduce hours of lost productivity during RAID rebuilds. 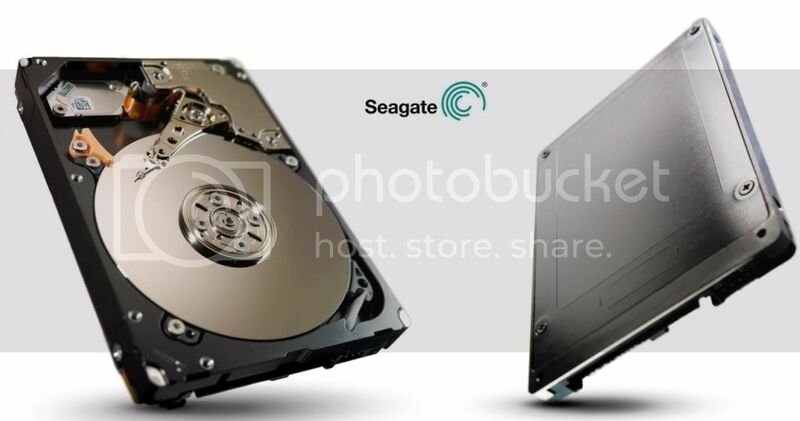 Constellation ES.2 leverages Seagate’s unparalleled expertise in enterprise technology by delivering the highest capacity, fifth-generation 3.5-inch drive at the lowest operating power, helping to maximize energy efficiency in the data center. Building on Seagate’s enterprise leadership with its 3rd generation SAS interface, Constellation ES.2 also features the SAS-based Protection Information feature for end-to-end data protection, Self-Encrypted Drive (SED) option for protecting data-at-rest, best-in-class Rotational Vibration Feed Forward (RVFF) technology that sustains performance when placed in closely-packed multi-drive system environments, and PowerChoice® on-demand low power options that keeps drives and systems running cool. Constellation ES.2 is offered in both 6Gb/s Serial ATA (SATA) and 6Gb/s Serial Attached SCSI (SAS) interfaces. It is currently shipping to OEMs and will be available in the channel Q2 this year. As far as implementation by OEM is concerned, judging by their official comments, HP seem to be eyeing on the SSD lineup, whereas Dell looking forward to Savvio.